At some time in our lives we feel things are difficult, overwhelming and we are not coping. Sometimes we understand why and other times not. If you would like to have a better understanding of yourself and explore your struggles whether past or present then I can help. 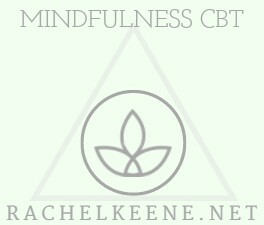 I am a qualified Mindfulness Based Cognitive Behavioural Therapist (also often shortened to MBCT or MCBT). I hold a safe, accepting, confidential space where you can explore your thoughts and feelings without any judgement. I can help you make sense of difficulties, help you to gain insight, understanding and find new perspectives. MBCT helps you to uncover inner resources and develop new healthy coping strategies. This talking therapy supports you in exploring and reflecting on whatever is troubling you. I care about your well-being. I’ve lots of experience working with people from all walks of life, with a wide range of difficulties. I even use this therapy myself for improving my own sense of well-being. If you want to make changes and feel more positive about your future I will work with you for your greatest and highest good. People come to therapy for many different reasons. Either they have a specific problem with a particular area of their life of they have a deeper feeling of general dissatisfaction with their life. Therapy can be short or long depending on the nature of the difficulty. MCBT tends to be a shorter term therapy (around 8 sessions) as it focuses on specific difficulties and is goal orientated. MCBT focuses on how we think and what we do, as this absolutely affects the way that we feel. It challenges unhelpful irrational thinking and behaviour with the emphasis on the client and counsellor working together exploring and understanding this and finding new helpful alternative ways of thinking and behaving. We all have different reactions to an experience and it’s these reactions that when unhelpful make our lives difficult and we need to understand and change this. Integrative counselling in contrast is a talking therapy which focuses on the counsellor using a variety of theories and approaches to help the client with whatever they present. Great focus being on the relationship that develops between client and counsellor, it is non-judgemental, accepting and explorative. That it is why it is important when looking for a therapist you feel you can connect with them and you feel safe to share your thoughts, feelings and experiences. A minimum of 8 sessions is recommended. The most cost effective way is to book a block of 8 sessions in advance but you can also pay as you go. Sessions can be conducted in person in Hertford Heath or anywhere in the world via Skype. 1. Click on the Book Now button and scroll down to select your chosen service from the list. You will be directed to my online calendar to book your appointment (UK time) which is auto confirmed by email. If booking a block, book your first appointment in, then contact me to arrange the rest. Weekly appointments are best in this therapy. Appointment times shown are London UK time as that is where I am. Most smartphone clocks have a world clock option where you can see what time it is here in London. Appointments can be rescheduled only in advance with at least 24 hours notice (up to 2 times) but not refunded. If you miss your appointment time on the day there are no refunds as I have allocated my time to you for that period. 3. I will contact you via email with directions and/or contact details as appropriate.